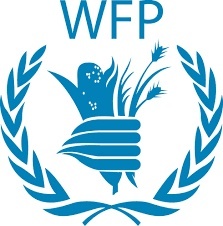 The World Food Programme (WFP) is the world’s largest humanitarian agency, fighting hunger worldwide. WFP and the Bill and Melinda Gates Foundation (BMGF) signed an agreement in September 2017 that seeks to accelerate on-the-shelf availability of health commodities through sustainable solutions across 17 countries over 3.5 years. • Lead the mapping of health supply chain across Tanzania, including identifying key (private, public, institutional and operational) strategic partners. • Lead the development of work plans to increase supply chain maturity across priority areas by overcoming supply chain constraints and identifying interventions. Subsequently manage the implementation of the work plans. • Coordinate with global workstream leads to identify current processes, needs and gaps of health supply chain in Tanzania, and participate in the country’s supply chain maturity evaluations, technical market assessments and retail assessments. • Lead a team of supply chain experts, ensuring appropriate development and enabling high performance. • Foster relationships with key health supply chain actors and SOLVE partners to ensure a global cohesion and contribution towards health supply chain maturity. • Represent the SOLVE project at key meetings with diverse stakeholders ensuring messages are delivered in the appropriate technical language. Be the catalyst to rally stakeholders for action on common supply chain issues. • Analyze country context, and design and manage end-to-end operational supply chain and retail networks, to proactively mitigate and/or address dynamic supply chain challenges and obtain operational optimization. • Drive continuous improvements by leading and facilitating workshops which are platforms for advocating change. • Nurture a culture of innovation within the health supply chain and broader health space. • Ensure the effective achievement of key performance targets. • Deploy supply chain training plans and initiatives. • Advanced University degree preferably in Supply Chain Management, Engineering, Economics, Business Administration, Logistics, or other related field, or First University degree with additional years of related work experience and/or training/courses. • Fluency (level C) in English language. Intermediate knowledge (level B) of a second official UN language: Arabic, Chinese, French, Russian, Spanish, and/or WFP’s working language, Portuguese. • Experience in translating supply chain strategies into operational plans for implementation in a developing country. 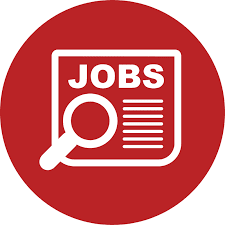 • Experience in developing and nurturing relationships and capacity building initiatives with UN agencies, NGOs, private sector and/or government organizations. • Experience in collaborating with diverse stakeholders and teams including government officials, public health specialists and programme implementers. • Experience in measuring the impact of capacity strengthening interventions. • Experience in forging effective partnerships. • Experience supervising a team with members from diverse and multi-cultural backgrounds. • Solid understanding of humanitarian and/or global health supply chain including actors, networks and strategies, with a track record of building and sustaining high-level relationships. • Established ability to communicate a clear vision and inspire, motivate and coach a team to achieve extraordinary performance. • Solid project leadership skills combined with strong in-depth analytical skills. • Demonstrated excellent project management skills, and multi-tasking abilities. • Fully conversant in the concepts of maturity models and Visibility Analytics Network (control towers). • Ability to rapidly grasp and engage team members at different levels of interventions, adjusting to different cultural requirements and managerial needs. • Takes initiative to understand and resolve unstructured problems with high energy and persistence. This is a fixed-term appointment (which expires 31 December 2020) locked specifically to the position with TORs specified above. WFP’s policies regarding mobility, promotion, and conversion will not apply to this appointment. The appointment may be extended beyond the expiry specified conditioned upon, but not limited to, performance, the continuing need for the post, and the availability of funding for the post.